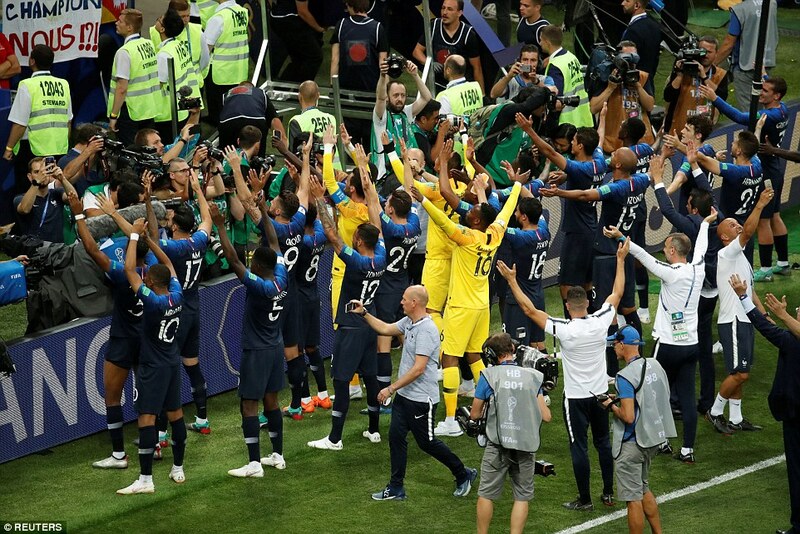 France lifted the World Cup trophy for the second time in their history in the pouring rain as the heavens opened during the presentation to leave the players, officials and political dignitaries soaked to the bone. 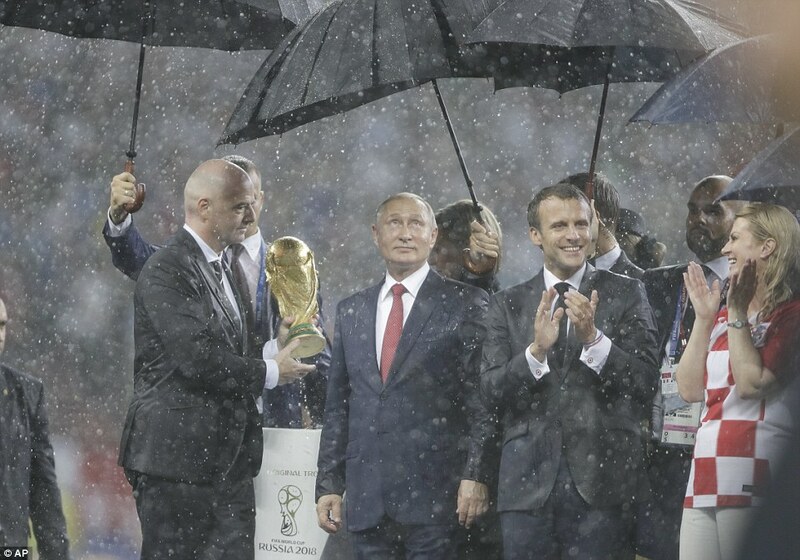 Russia president Vladimir Putin was the only one to keep dry as he had an assistant at the ready with an umbrella to make sure he stayed spick and span. 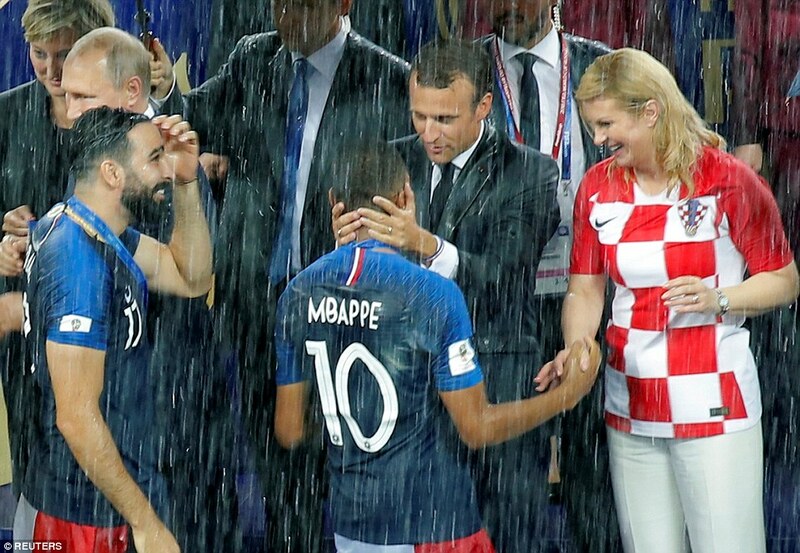 The same could not be said for the presidents of France and Croatia, Emmanuel Macron and Kolinda Grabar-Kitarovic respectively, who both left the podium sodden. 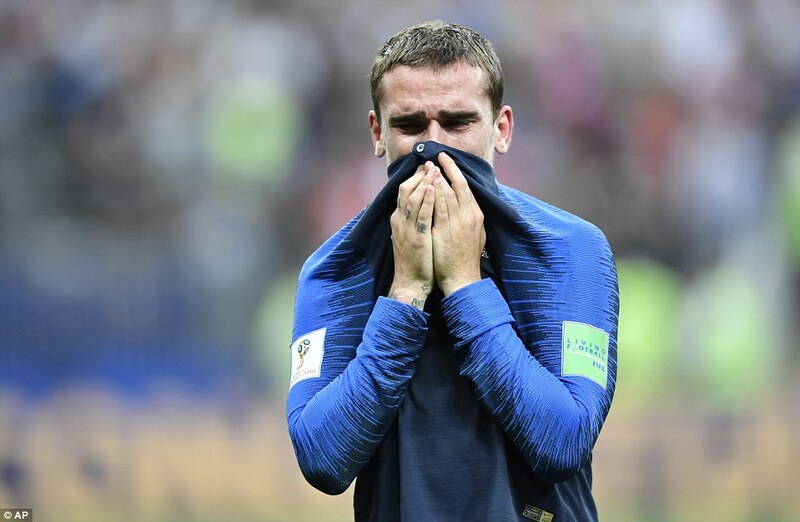 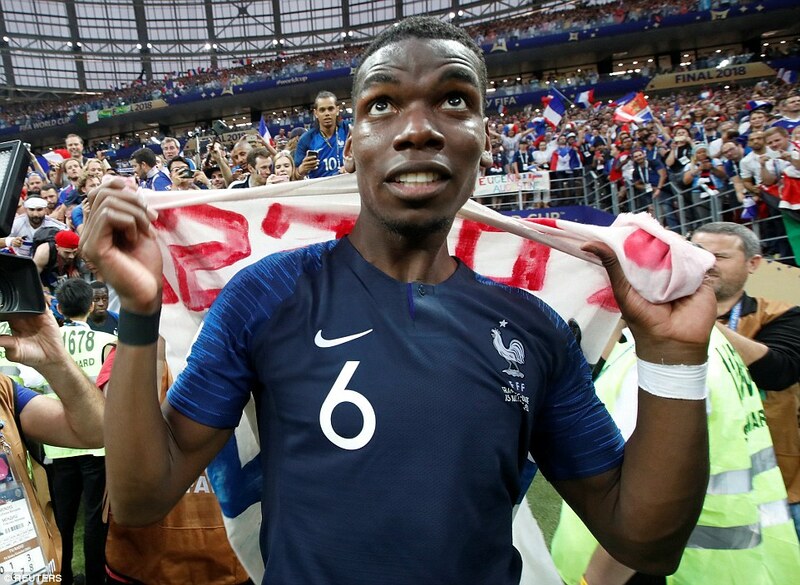 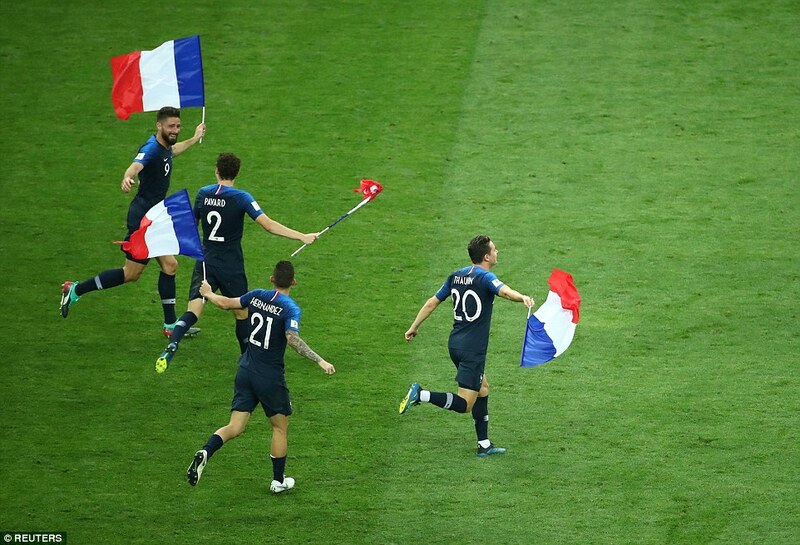 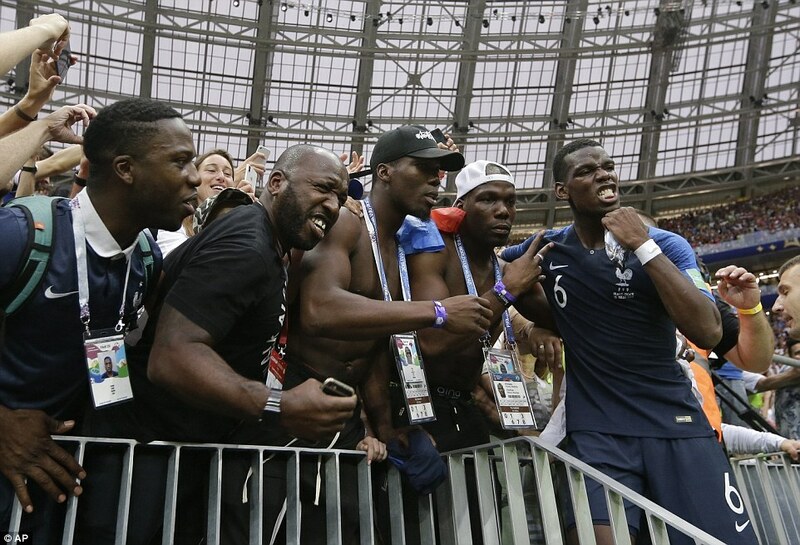 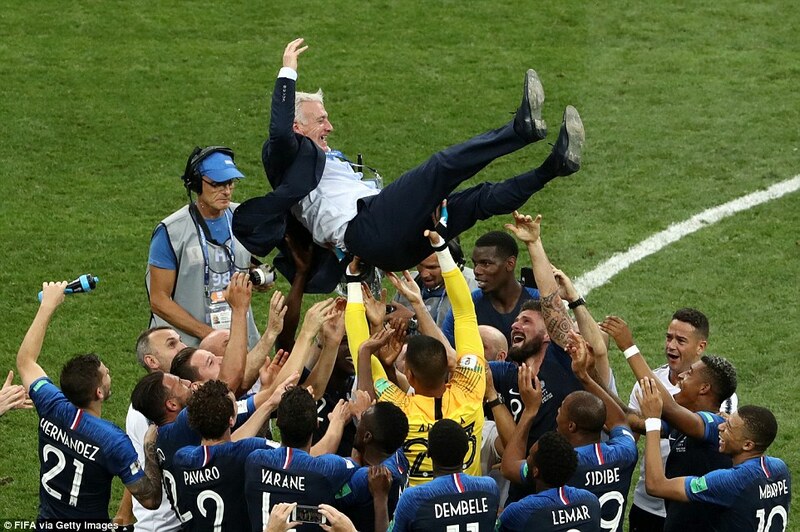 The heavy rain did nothing to dampen celebrations, however, as the French players performed swan-dives on the water-logged pitch as they passed around the golden trophy in front of the world’s media.